The Art Start Challenge is closed. To join our next challenge, simply fill out the form and you’ll be notified about a week before it begins. If you missed the challenge and would like immediate access to the complete Challenge eGuide, you can purchase the 54-page guide here. No previous art experience necessary. 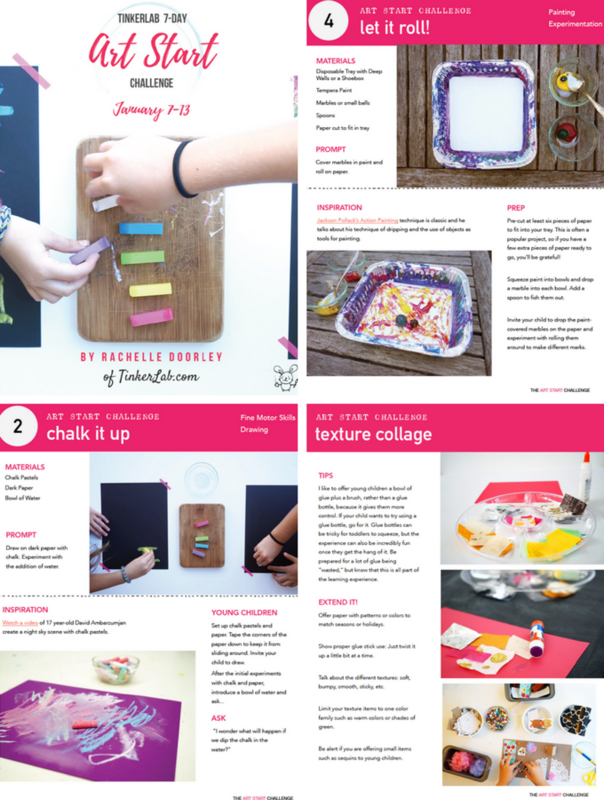 If you’re struggling to find time for art, have children of different ages and could use a project that caters to all of them, and would be grateful for a curated plan, this is for you! 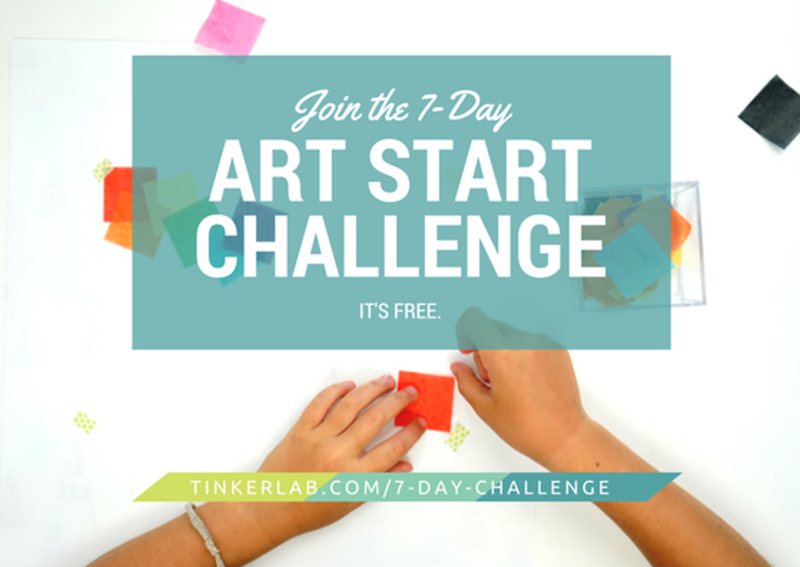 This challenge is light, the prep is minimal, and it will help you connect with your child through art. Bonus, it’s FREE. What’s involved? For seven days, you will be invited to set up a simple process-based art experience for your child (and yourself — adults are welcome, too!). This is for families and teachers. It’s my mission to help you get comfortable setting up easy art provocations that will help you reach your creative goals. This challenge will be your START! and tips to help you say YES to art making at home. I will challenge you to set up one simple art starter a day…for 7 days. All it takes is a handful of basic art supplies, a clear table, and 5 minutes to set it up. and more creative confidence (for you and your child). I am passionate about helping you find ways to make art at home joyful, light, and easy, and I’m confident that you are going to love this challenge.